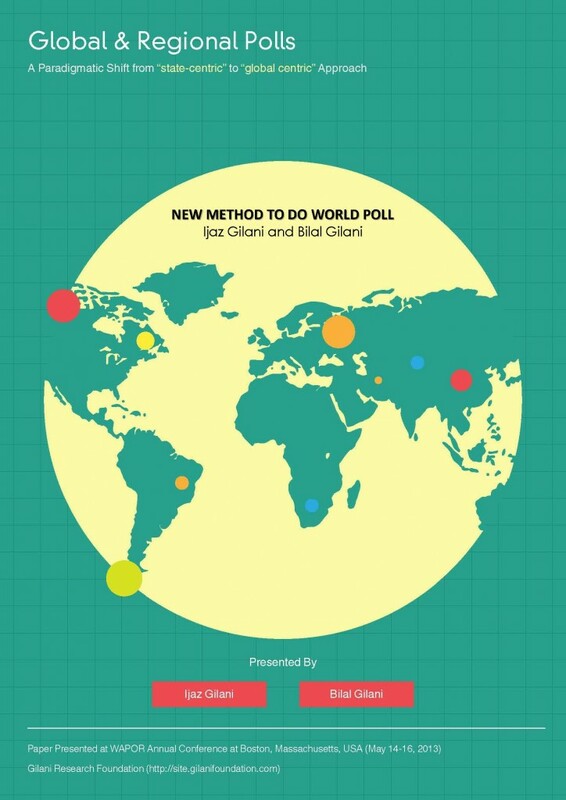 The results of a Gilani Research Foundation survey carried out by Gallup Pakistan indicated that nearly half (46%) respondents blame poverty on the governments of poor countries. 24% said the cause lay in the injustice of rich countries when dealing with their poorer counterparts. In a survey, a nationally representative sample of men and women from across the four provinces were asked the following question: “What is the main reason behind the poverty of poor countries?” Majority (46%) blame poverty on the governments of poor countries, while 24% say unjust treatment of poor countries by richer countries is the reason. 15% respondents say lazy attitudes and incompetence of the people of poor countries are to blame. Only 11% cite poverty as the will of God. 4% say they do not know what causes poverty. More respondents in rural areas (26%) were inclined to blame unjust treatment by richer countries than respondents in urban areas (18%). The will of God was held to be the reason behind poverty equally in both rural and urban areas. The study was released by Gilani foundation and carried out by Gallup Pakistan, the Pakistani affiliate of Gallup International. The recent survey was carried out among a sample of 2702 men and women in rural and urban areas of all four provinces of the country, during 26 June – 2 July 2011. Error margin is estimated to be approximately + 2-3 per cent at 95% confidence level.